This smart belt might just help your efforts to keep your New Year’s resolution to lose weight in motion. Keep reading this blog to find out how! Whether you resolved to kick a bad habit, become more organized, work out more, eat better, or lose that pesky holiday weight gain and keep it off, there is more than likely a new invention that can help support your efforts. Today, we want to talk about an invention that will help monitor your food intake! Usually, when a person eats a little more than they should at a meal, it’s a common practice to loosen their belt buckle to give themselves a little more room and comfort. 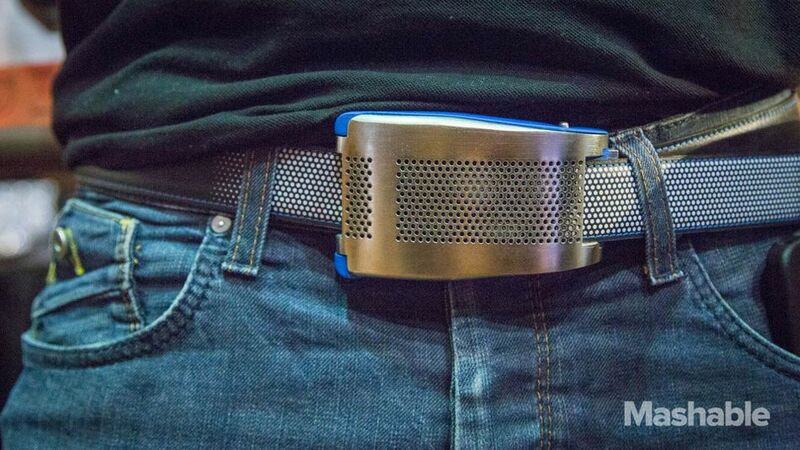 This smart belt prototype, known as the “Belty,” invented by a Paris-based startup called Emiota, does just that, it loosens your belt buckle without having to lift a finger. Sure, you might be thinking that this is just a lazy way to help people eat more. However, you are sadly mistaken. Because this invention does the opposite, it actually helps people be mindful of when they have eaten too much. 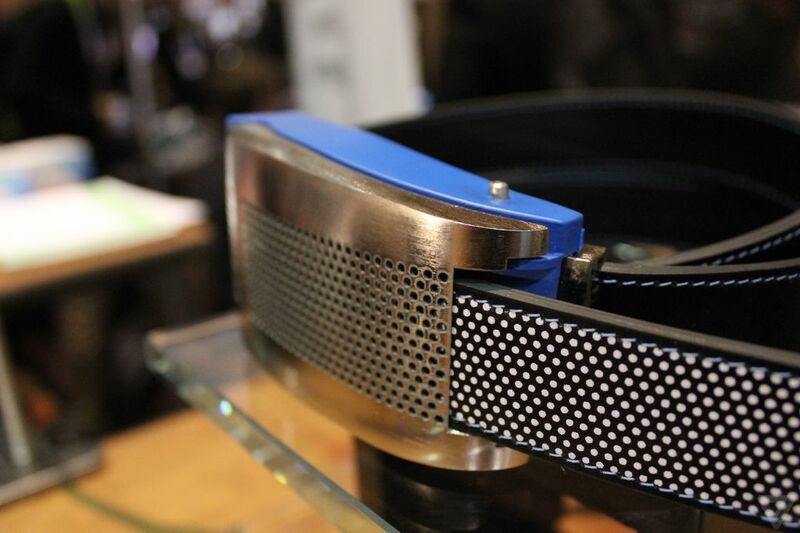 Above is a picture from Mashable of the Belty at CES 2015. This smart belt adjusts itself throughout the day, depending on the amount of food that a person has eaten and how much exercise was done to compensate. Wearable technology was very popular in 2014 and that same trend seems to have carried over into the first week of 2015 with this smart belt. Not only can it adjust itself according to how much you have eaten, it also keeps track of your overall health and prompts you when you’ve been sitting for too long. Much like most pieces of wearable technology on the market, this smart belt is equipped with a gyroscope, an accelerator and small sensors to help determine how much you have been moving or whether or not you need to be more active. The Belty connects to an app that records all of the data that has been collected throughout the day and sends out suggestions and feedback regarding how the belt adjusts in real time. So far, some are skeptical as to whether or not the Belty prototype will actually be useful in everyday life. However, with the beginning of 2015 underway, only time will tell if this smart belt will be helping people eat less and move more this year! For more info on how technology is helping shape health and wellness in today’s society, check out this article ! Mercedes-Benz is Driving Their Way to Innovation in 2015 →	← 2014: Inventionland Blog in Review!